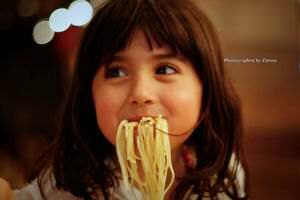 Noodles and Pasta are rich sources of carbohydrates. According to the standards published by the National Pasta Association, noodles must contain at least 5.5% egg solids by weight. 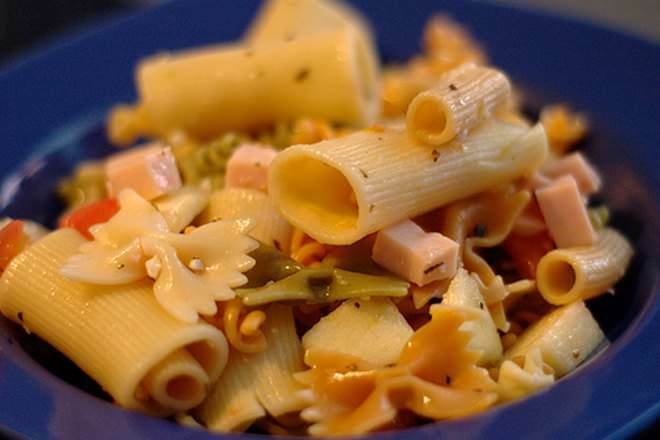 Noodles can be added to soups and casseroles while pasta can be made a complete meal with addition of a few vegetables. Pasta is much lighter and, under Italian law, can only be made with durum wheat. Made from unleavened dough cooked in boiling water. Foods made from unleavened dough, buckwheat, wheat and water. Vegetable extracts and eggs are also added. German nudel and Latin word – nodus (knot). Latin pasta - dough pastry, cake, Italian pasta, Greek pasta – barley porridge. Wheat, rice, mung bean, acorn, buckwheat, potato, canna starch. Durum wheat or durum wheat semolina, whole wheat, buckwheat, eggs. Basic, chilled, fried. See also Chow Mein vs. Lo Mein. Dried and fresh. Noodles and pasta have high complex carbohydrates so they release energy over a period of time instead of a sudden boost. This is why marathon runners often eat a bowl of noodles or pasta the night before the race. 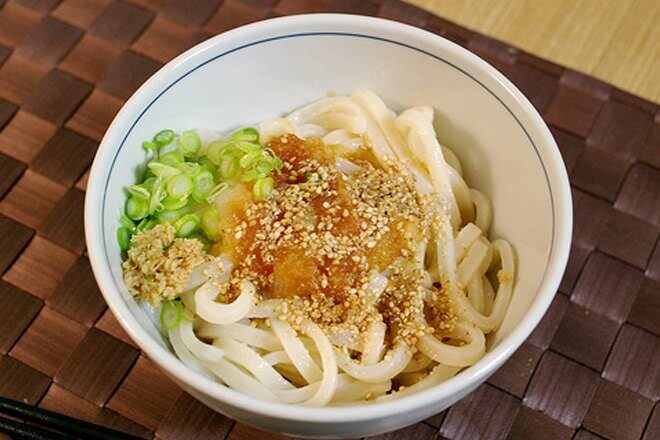 Noodles exist in many shapes but are commonly found in thin rod shapes. Pasta also occurs in many shapes with specific names, like spaghetti and macaroni for thin rod shapes, tubes, or cylinders; or lasagna for sheets and fusilli for swirls, etc. Gnocchi and spatzle are also considered pastas. Noodles are classified based on the primary ingredient used in making them. Thus you have noodles made from wheat, rice, acorn, potato, buckwheat, etc. Pasta is predominantly of two types: fresh and dried. Dried pasta is made without eggs and can be stored for two years, while fresh pasta is made with eggs and can be stored in a refrigerator for a couple of days. Pasta is generally cooked by boiling. Noodles can be cooked in a variety of ways. They can be cooked in water or broth and drained, can be served with salad chilled, can be fried and also served soaked in soup.